Karen and I are going to try to make it - our first time into that field. 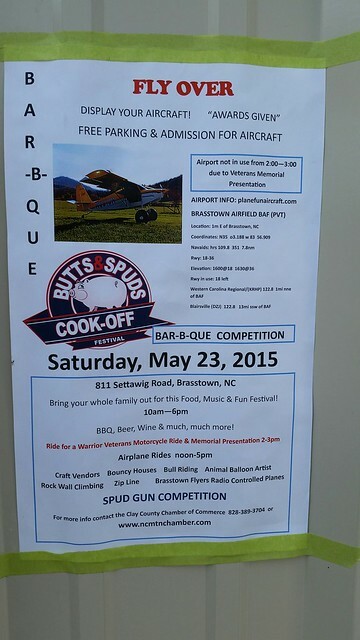 Let us know if you're going and we can try to fly over in formation! Last edited by SportPilot on Thu Aug 20, 2015 5:13 pm, edited 1 time in total. Not on a sectional that I can see. It appeard to be just SE of Murphy, NC. 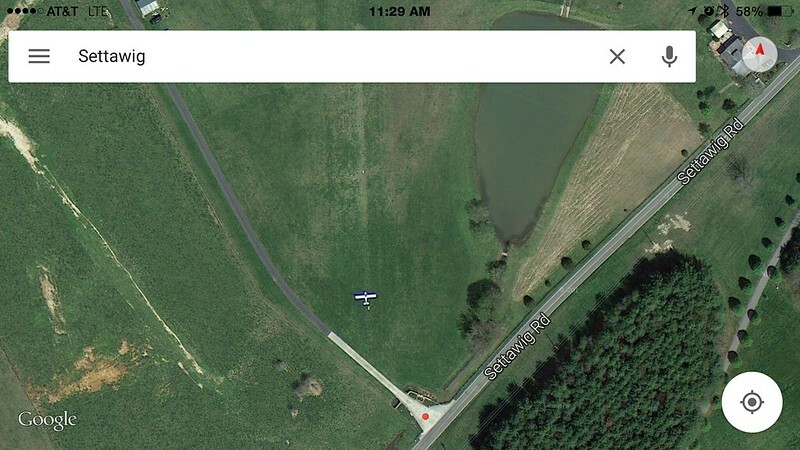 I just looked on Apple Maps and pretty sure I found it. Last edited by SportPilot on Thu Aug 20, 2015 5:12 pm, edited 1 time in total. 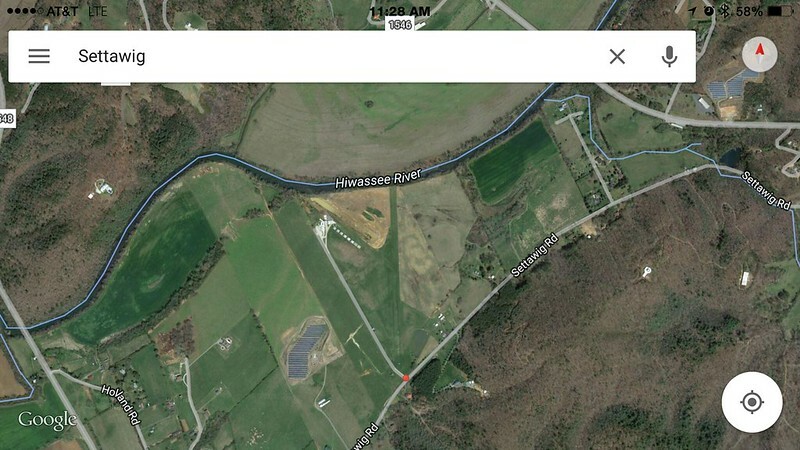 Put "811 Setawigg Rd, Brasstown, NC" into either Bing or Google and it will locate the airport. Plane Fun Aircraft has been hosting the annual Just Aircraft Fly-in for the past few years. I'm hoping to make that event this year which is Labor Day weekend. Pretty cool that they actually caught a plane on the "runway"! As an aside, I'm posting these from my iPhone 6+ at a campsite on Lake Allatoona near Acworth, GA. 5mbs on LTE. Pretty amazing technology! I've been there, it's 2200ft grass in excellent condition. There were Cherokees and 182s landing there, it's pretty easy for most LSA. Rising terrain on both ends though, if you have climb performance problems do not try to depart in the hottest part of the day. We saw a 152 almost come to grief last year in that situation. FastEddieB wrote: As an aside, I'm posting these from my iPhone 6+ at a campsite on Lake Allatoona near Acworth, GA. 5mbs on LTE. Pretty amazing technology! We were camping there to be close to the Shaky Boots Music Festival in Kennesaw! Fairly straightforward, but I can see how the rising terrain could be a nail biter in the wrong plane. Last edited by SportPilot on Thu Aug 20, 2015 5:11 pm, edited 1 time in total. I called Billy Payne at the number listed here and he said "Come on over!" I would not call it a blanket invitation to anyone, any time, but he seemed very forthcoming with me. I had met him maybe a half dozen times at various events. I would definitely call him first just to be safe.